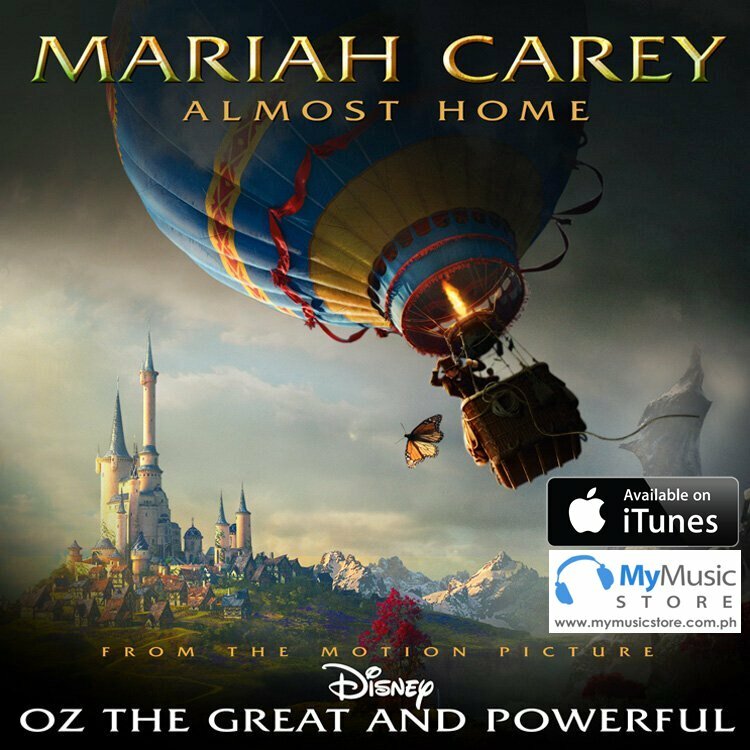 February 19, 2013 --- Multiple GRAMMY® Award–winning superstar Mariah Carey has recorded the song, “Almost Home,” for “Oz The Great and Powerful,” the studio’s highly anticipated fantastical adventure, directed by Sam Raimi, in theaters on March 8, 2013. Mariah Carey is the best-selling female artist of all time with more than 200 million albums sold to date and eighteen Billboard #1 singles (seventeen self-penned). With her distinct five-octave vocal range, prolific songwriting, and producing talent, Carey has defined the modern pop performance. As a singer/songwriter/producer, she has been recognized with five GRAMMY® Awards, nine American Music Awards, Billboard’s Artist of the Decade Award, the World Music Award for World’s Best Selling Female Artist of the Millennium and BMI’s Icon Award for her outstanding achievements in songwriting, to name a few. Carey is currently working on her new studio album to be released under MCA Music (Universal Music Philippines).